With health care costs continuing to hurt our pocketbook, many consumers have moved to high deductible plans. HSA qualified plans require that the insured (not the insurance company) is responsible to pay prescription costs toward that high deductible. Most of us are unaware of our prescription costs, but with the new HSA plans, we can help ourselves save money if we knew the cost of our prescription options. 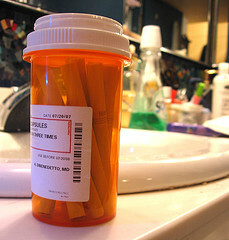 UHC has a great online tool to help us identify prescription costs. You can access it here. This is only an example of costs through Medco, so your costs will differ depending on your insurance plan and pharmacy. It also shows you the cost for mail order compared to filling your prescription at a retail pharmacy. I looked up 80mg tabs of Zocor, a common cholesterol drug. A 30 day supply from a retail outlet showed $163.59, whereas the generic Simvastatin costs only $12.05. Yikes, the brand name was 1300% higher! Why not check your costs. Employers, Do You Know The Rules?? 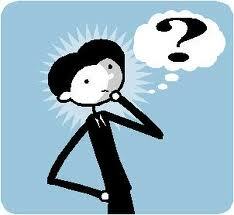 Make sure you define – in writing in an employee handbook- the definitions of eligible employees and dependents. For example, do you only offer benefits to full time employees over 40 hours per week? However you define eligibles, make sure you are consistent in benefits that you offer and monitor to make sure you remain consistent. Make sure you also define leave policies and waiting periods as well. Make sure your plan complies with benefits mandate by state law and health care reforms. Benefit and eligibility information must be provided to eligible participants or be made available at their request. Make sure you file all necessary plan documents, such as 5500 reports. Please remember that failure to follow the rules can be costly. For example, the fine for failure to file the 5500 report is $1,000 PER DAY. If we may be of any assistance to you or can help you organize a compliance process, please contact Gary Whiddon at (888)474-6627. Aetna will introduce six new plans for Small Group clients in California. The new portfolio includes two HMOs and four Managed Choice® (MC) plans. All are effective April 1, 2012. All of these new plans build on rates and benefits that brokers and plan sponsors have requested. The new plans were designed to help employers and employees save on health care costs while getting a plan that meets their needs. All of the HMO and MC/PPO plans alongside each other. Plan sponsors can set their contribution rates on the lowest priced plan, and their employees can “buy up” to different plans if they wish to do so. IMPORTANT PLAN CHANGES: In addition to introducing new plans, some changes were made to existing plans. Look at the Renewal guide for details about the changes to specific plans. Please note: There are changes to every plan — so it is important for you to review the changes. You can also view the new Plan Guide here. Vision benefit now included with all plans — One exam every 24 months. Includes refractive testing. Wellness/health incentive benefit — Employees and their spouses/domestic partners can earn up to $100 for completing a wellness program through simple steps. Brokers and employees can complete adds and terms online. As of March 2012, an employer can obtain a new employee’s member ID right in the on-line enrollment tool as soon as the enrollment has been processed. The Los Angeles Times has reported that health insurer WellPoint Inc. plans to increase the fees it pays to doctor practices, and it will start paying for services like preparing care plans for patients with complex medical problems. They report that they will also will offer doctors an opportunity to share in some savings when better patient care leads to a reduction in costs. Wellpoint is the parent company of Anthem Blue Cross. WellPoint said it wants to give doctors a chance to do more for patients outside of episodic care, or just treating people when they become sick. Under the concept, doctors will be able to spend more time with patients, listening to them and understanding their concerns, said Jill Hummel, WellPoint’s vice president of payment innovation.WellPoint also expects a return on this investment. The insurer said the approach should cut down on some of the priciest forms of medical care, emergency room visits and hospital admissions. Health incentives to help employees be well and productive. 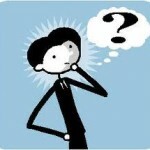 Easy-to-understand, choose, and use HMO plans keep decision making clear and simple. Sets employers up for the long-term. SmartCare is built to flex over time with planned expansions for 2012 (and beyond) in geographic coverage, prominent participating provider groups and other resources to match evolving employer and employee needs. 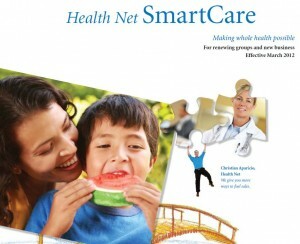 Health Net SmartCare is the health care solution that employers can afford, employees will use, and both will value. Notified 90 days in advance of their renewal date by letter that explains the change. Offered the option to choose any one or more of the new SmartCare plans (six for SBG, five for Large), or any other Health Net group plan. If a group wants to keep their plan design exactly as it is under their Bronze plan, they may do so by pairing those benefits with Health Net’s full HMO or Silver network. Health Net has the Health Net SmartCare broker guide including a crosswalk and plan overviews available to support you and your brokers in client conversations. Click here for SmartCare HMO Plans. In conjunction with introducing SmartCare in San Diego (region 7), Health Net is also lowering rates for its PPO Advantage plans. Health Net is expanding its Salud network with the addition of IPA Hispanic Physicians, which has eight PCPs and 74 specialists. The expansion makes Salud HMO y Más and Salud Mexico available to groups – both SBG and Large – in parts of Kern county effective March 1, 2012. More information and details about materials will be sent soon.